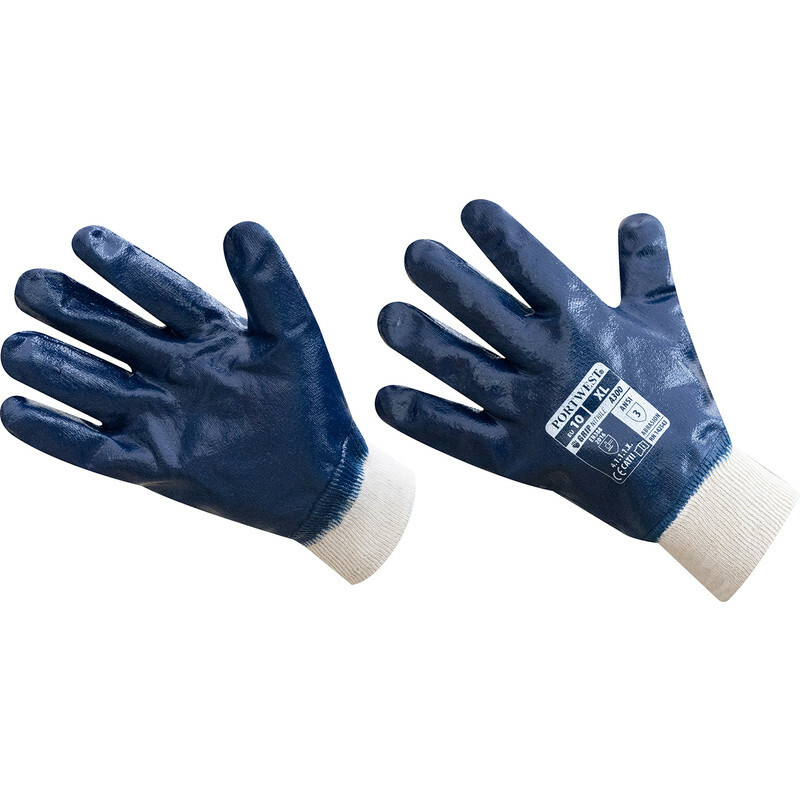 Fully coated nitrile knitwrist glove prevents grease, oil and water penetration. Conforms to EN420, EN388. Nitrile Knit Wrist Gloves is rated 4.3 out of 5 by 7. Rated 5 out of 5 by Integral sparks from Hard wearing I used for several days hard labour moving rubble and later plaster slurry. Worked really well. Rated 5 out of 5 by Watshot from Good protection. A good level of protection with a small degree of warm lining. Ideal for general outdoor work if wet conditions are a consideration, where leather style alternatives get damp and cold and rot. I have used these for weeks at a time in a professional capacity and they last very well making them great value. Just try not to put wet and dirty hands inside to preserve the lining for a while. Rated 3 out of 5 by Philo1 from two left hands?? gloves look fine, - if only there was a right hand glove to match the left! Rated 5 out of 5 by RogerDee from Just the job I bought these gloves to use when car washing in the cold winter days. Excellent value for the money. Rated 3 out of 5 by SamB from Poor quality Gloves tend to split at the finger seams after a few uses.